Evenings around my house are a whirlwind! After getting off of work and picking up my kids from school and daycare, it seems like there is long to-do list once we arrive home. There is homework, dinner, and baths that all have to happen before I get the kids into a bedtime routine. In an effort to save time (i.e., survive), I try to keep my dinner recipes under 30 minutes. 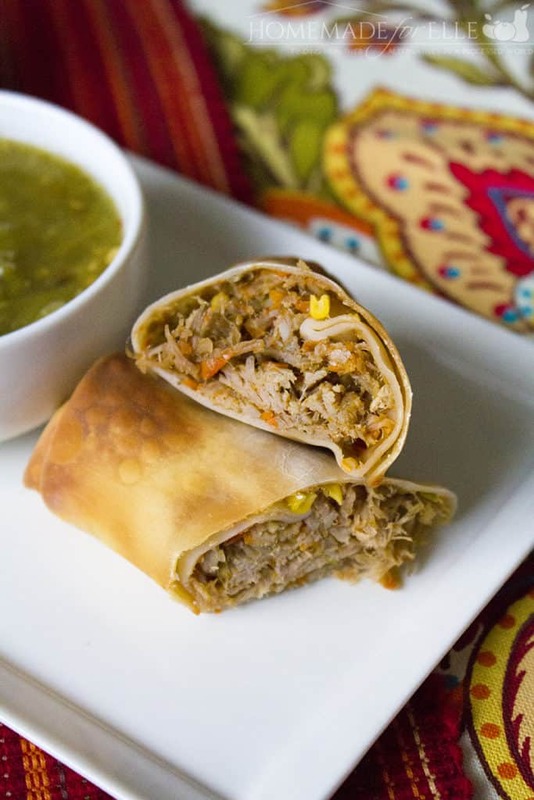 One of the best 30-minute recipes I created this week was my Mexican Egg Roll recipe. I combined Boneless Pork Shoulder Seasoned Carnitas with a ton of fresh veggies, piled them into an egg roll wrapper, and baked them until crisp. It turned out to be such an easy recipe that packed in a ton of flavor. My whole family loved them! My secret to making these Mexican Egg Rolls in only 30 minutes is to use Smithfield Marinated Boneless Pork Shoulder Seasoned Carnitas. 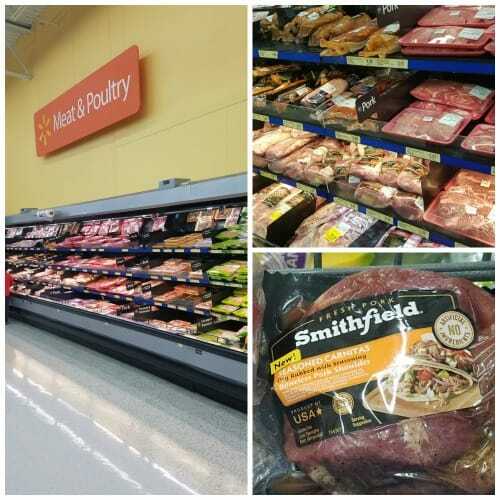 Smithfield Marinated 100% pork products adds fantastic, developed flavors to a dish, while saving time. I simply added the carnitas to a slow cooker with a little bit of water, and set it on low in the morning. By evening, my house smells delicious and I am 25 minutes away from the best homemade Mexican Egg Roll recipe. 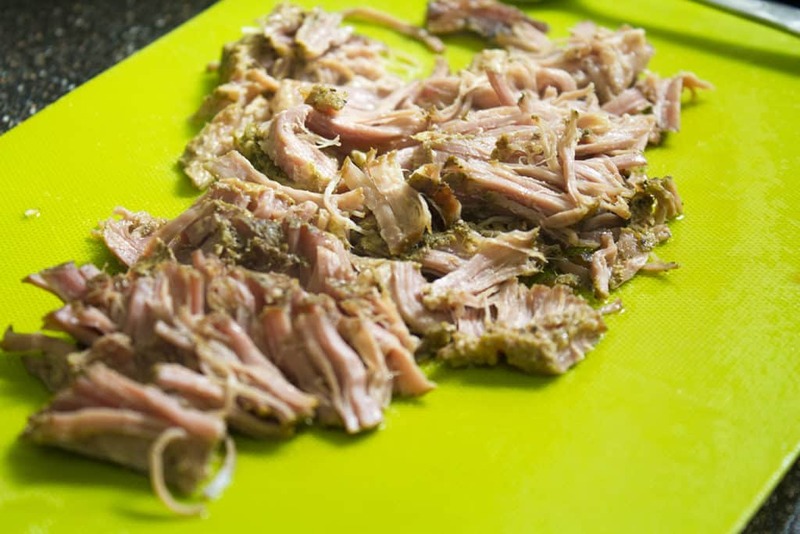 Place Smithfield Seasoned Carnitas in a slow cooker on low with 1/2 cup of water, for 6 - 8 hours. Shred carnitas meat. 30 minutes before carnitas are done, preheat oven to 425 degrees. Heat olive oil in a large pan over medium heat. add in onion, carrots and jalapenos, and saute for 6 - 8 minutes, until they start to soften. 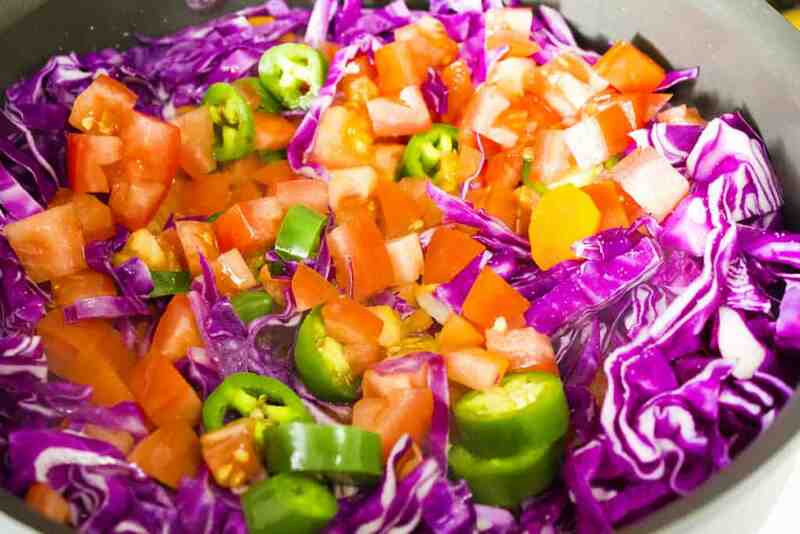 Add in cabbage and tomatoes and saute an additional 5 minutes. Transfer mixture to a food processor, and pulse 2 - 3 times. Return mixture back to pan. Add in carnitas meat, corn, cumin, garlic, salt and pepper. Stir well. Add 1.5 tbsp of carnitas mixture to the center of an egg roll wrapper. Moisten edge of egg roll wrapper with water, then roll and seal. Repeat until mixture is gone. Transfer rolled egg rolls onto a baking sheet, brush with olive oil, and bake in preheated oven for 10 - 15 minutes, or until browned and crispy. Smithfield Marinated Pork comes in a variety of options for other quick and tasty dinners: Sweet & Smoky Boneless Roast, Homestyle Boneless Roast, Hardwood Smoked Bacon & Cracked Black Pepper Tenderloin, and of course, their Boneless Pork Shoulder Seasoned Carnitas. I find it so convenient to have a marinated roast in the fridge or freezer, ready to pair up with fresh veggies for a healthy and delicious dinner for my family. I used my coupon and shopped at Walmart to find the best deals, and ensure I stayed within my weekly grocery and household supply budget. If you want to try out Smithfield Marinated Boneless Pork Shoulder Seasoned Carnitas, be sure to grab this coupon to save $1 off of 1 NEW Marinated product. “30 minute recipe”….? I don’t think so. These take a HUGE amount of time to put together. Yes, the pork is a crock pot item….but the carrots, onions, chilies, cabbage…all need to be finely chopped…sauted…and then put into a food processor….and then put back in the pan….and the pork needs to be shredded and added…and then it all needs to be rolled into the egg roll wrappers and then baked. Please tell me WHO can do all this in 30 minutes??? I spent well over 2 hours putting these together for dinner. Not exactly a “quick…can’t believe it’s so quick” dinner. Nope. I made these on a Saturday afternoon. Yes, they are good…but this surely is NOT a quick, easy-to-put-together mid week dinner! Hi Tricia – I am sorry you experienced a large disparity in the time it took to prepare these. When I make these in 30 minutes, pre-chopped veggies save a ton of time, and I have become quite quick at rolling egg-rolls over the years. Your comment made me realize that this may not be a realistic time for everyone though – so I appreciate you sharing your feedback. 🙂 I will adjust some things in my post so it is apparent that it may take longer. I canned the Smithfield carnitas, in pint jars. Pull one out, break up the meat, broil it, and it is ready for dinner, however I decide to use it. These sound delicious and I love how brightly colours the ingredients are, making it pleasing on the eye as well as to the taste. Wow! I wouldn’t mind doing this myself! Only 25 minutes preparation time! I love dinners that are easy and quick to make! 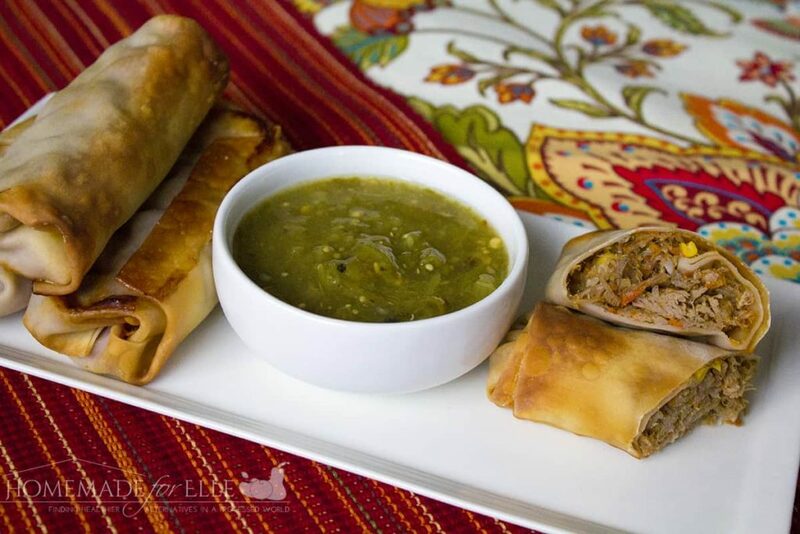 Your Mexican Egg Rolls look really delicious! This sounds amazing!!! I have never heard of egg rolls like this!!! This would be great for tailgating! 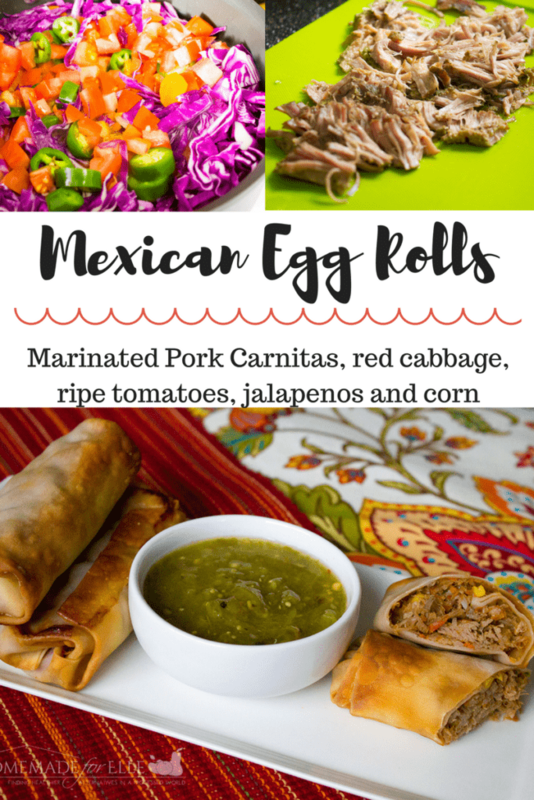 I have not tried making these Mexican Egg rolls myself. You made it look so easy to make! Thanks for the recipe. Saving it for my next week’s menu plan. I’ve never thought to have a Mexican egg roll. My GOSH that sounds amazing! This looks delicious! got to try this! Oh that look so good! I’m always on the hunt to make new and exciting dishes. I’ll have to give this one a try. This looks delicious! I love eggrolls so I know I’d love this recipe! Pinning! 30-minute recipes are perfect for busy workaholics like me. Plus I love love love Mexican food. This is something that I will definitely try. Delicious! Mexican egg rolls are so yummy! Can’t wait to try this recipe. Yum, this looks so good! I need to try it out.